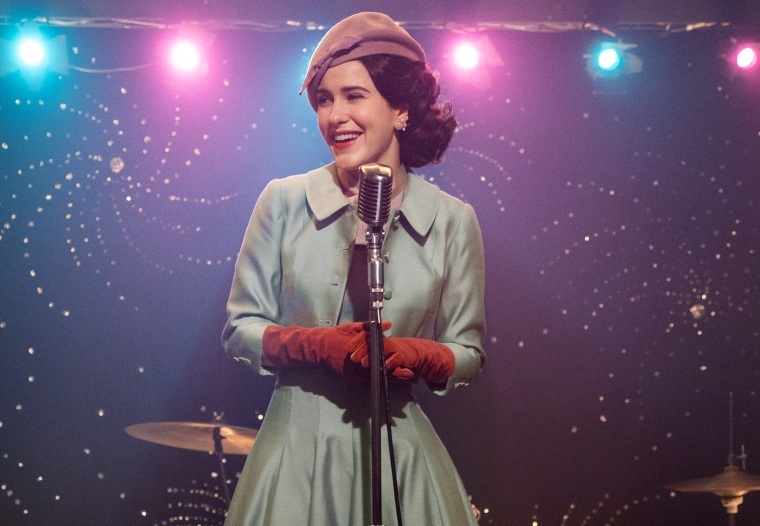 Amazon's 'The Marvelous Mrs. Maisel' is still excellent. But 'Gilmore Girls' fans may recognize warning signs. The show's inability to stray far from its comfort zone is sabotaging its momentum. But while the texture of the show is beautifully done, the showrunners have trouble when they venture outside of a pretty clearly established bubble. Clearly, Sherman-Palladino’s team has created a love letter to a very specific time, place and culture. In the middle of Hanukkah, the arrival of a show that is not just unapologetically Jewish, but revels in it, is the best present anyone at Amazon could have delivered. And "Mrs. Maisel" doesn’t feel the need to hurry through exposition, content to let scenes unfold slowly and sumptuously. There’s a moment in the opening episode where Rose Weissman (Marin Hinkle), Midge’s mother, commands her daughter to stop and breathe. “Be in the moment. Look around where you are, you’re in Paris. Take it in. Internalize it,” she says. It might as well be the show’s mantra. The show's inability to stray far from its comfort zone is a big problem that’s unlikely to go away. At the end of season one, Midge gets her big break, introduced to the comedy world by Lenny Bruce. For “Mrs. Maisel” to have a career that works, she should be basically dumping her children on invisible nannies (well, ok she’s already doing that), kicking that useless drip of a husband Joel (Michael Zegen) to the curb and capitalizing on her newfound career momentum. Manager Susie (Alex Borstein) complains that two months off will kill Maisel’s momentum, but she might as well be talking about the series itself. “Gilmore Girls” suffered from as similar problem, and it’s not hard to find parallel plot points. Husband Joel has an entire narrative arc, for example, that does little more than divert energy. This echoes the decision to continually push Rory’s dad back into the picture in “Gilmore Girls,” even though it was abundantly clear that he and Lorelai were a bad match. More worryingly, Midge’s behavior is starting to get even more self-serving as she undermines the people working their tucheses off to help launch her career. Despite Susie calling her out after a particularly egregious act, the show allows most of this behavior to slide because Midge can apparently do no wrong. This inability to recognize and acknowledge internal character flaws is what led to the disaster that was Rory in the “Gilmore Girls” Netflix revival. The show is great when it stays focused on Midge, and her true north of comedy. But “Marvelous Mrs. Maisel” needs to be careful lest — like its main character — all this early success goes to its head. The show is caught between the world it wants to stay in and the forces calling Midge to leave. Eventually, both Midge and the series will have to take a bit of a risk and choose a path forward. Leaving the comfortable confines of the Upper West Side could result in the show’s collapse — or Midge’s. Or it could save the show. But until then, there’s no reason we can’t tale a few minutes to stop and simply be in the moment. It’s 1959 and you’re in the heart of bustling New York City. Take it all in, it’s glorious.